If you like the colour red and have been looking for red wigs, then this is the guide for you. The great thing is that red suits everyone so anyone can wear a red peruke. Who Can Wear Red Wigs? The key to making it work for you is to make sure that the darker your complexion the deeper the shade of red you choose… bright red hair on dark skin can look harsh but the image below shows a colour that can complement both dark and light skins. What's more red wigs are readily available as monofilament wigs which means you needn't worry about adhesives as these traditional cap wigs come with clips and grips to keep your hairpiece secure. 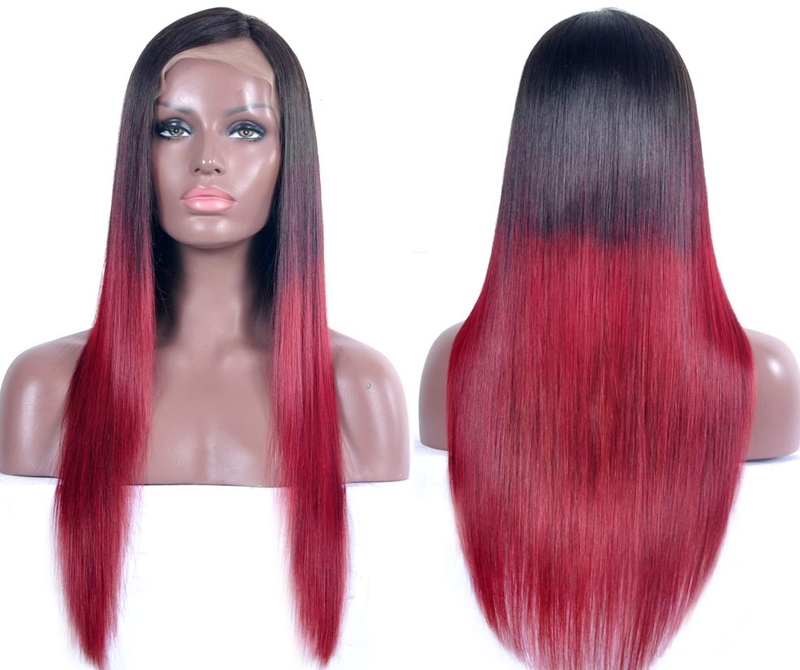 However if you'd like to know about the red options for lace wigs, then you can always check out our guide on red lace front wigs. If you’re going to wear red hair then it’s better not to wear red clothes unless it’s a costume. An accessory such as a belt or pair of earrings is fine as they will complement the hair or even a pair of red shoes. The colours that don’t clash with red are yellows, blues and greens. If you want to down play the colour of your wig then browns, purples, greens worn on the top part of your body will do that. If you’ve chosen a bright red colour then black will make it stand out more. You can also go for red lipstick following the same rule for a chic look, the darker you are the darker the shade of red lipstick. Avoid pink as it’s on the same scale as red so won’t compliment the colour. As always you can use our wigs by face shapes guide for the lengths that suit different faces but the best thing to think about when choosing the length of your wig is to think about the shade of the red. 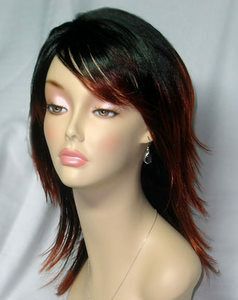 If it’s a dark shade of red then longer lengths in wigs won’t stand out. If it’s a bright red then the shorter the better for an everyday look – 16 inches and below. If you choose a synthetic wig, you can wash your wig in a mild shampoo as normal. If for any reason the hair becomes frizzy then wash with a fabric conditioner to smooth out the fibres - it sounds odd, but it works. 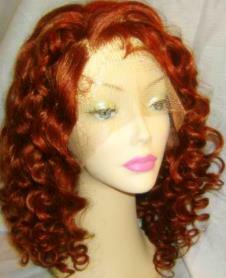 If your synthetic wig is heat resistant then use low heat settings and only heat style infrequently. If your synthetic wig is curly, then remember that wide tooth combs should be your wig's best friend! When you wash the hair never rub or wring the hair as this creates knots and irreversibly damages the synthetic hair fibres. If you'd like more than a few tips on synthetic wigs, then why not check out our guide on synthetic wig care. The great thing about synthetic wigs is that the colour will never fade...ever - so the colour that arrived through your front door is the same colour you'll be wearing six months from now. If you’ve chosen a human hair red wig then you’ll need to deep condition with a conditioner specifically for coloured hair to ensure the colour doesn’t fade. As the hair has been processed for colour, hair oils are a great way to nourish human hair wigs as well as a spray moisturizer to calm any frizz (these can be free sprays or moisturisers without mineral oils) try to use moisturisers with plant based oils. When it comes to using heat, the general consensus is that heat styling tools are fine, but the overuse of heat can damage the hair and reduce how long the wig lasts. If you'd like to learn more about looking after your human hair wig (whether red or any other colour) why not check out our wig care guide. So you see, anyone can wear red wigs, keep it to the colour that complements you and a length that’s manageable and your red head will turn other green with envy!